Hey y'all! I know a lot of girls are getting ready to prepare for sorority recruitment, and as someone who went through the largest sorority recruitment in the country, I feel like I have a few pieces of advice to offer. 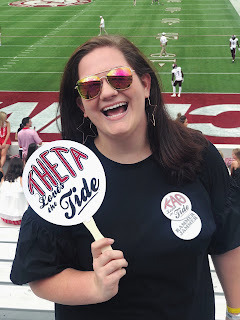 If you want to read about my experience during recruitment, you can check that out here. Since it is such a stressful week, you need to stay positive to balance out the anxiety. The best thing for me was to remind myself that I didn't need all 16 houses to like me; I just needed one house to love me. If a house drops you, you shouldn't want to be in that house anyway. They're actually helping you out in a way because they realized that you probably fit in better somewhere else. For me I didn't realize Theta was my "perfect" house until I actually started meeting people and finding out more about the house. I didn't realize this during recruitment, and the houses that I thought were the perfect ones for me turned out to not be that right fit. My Rho Chi was the absolute best, and every day after I was done, she told me to go distract myself. She knew that I was overthinking everything a ton, and going back to my dorm and sitting by myself was not going to help me at all. I would go back to my dorm and watch the Olympics or Netflix. When more people started moving in, I would go hang out with them when I had time after parties. I even hung out with my Rho Chi group one night, and we got popsicles. Do anything to not being thinking about recruitment because once you vote, there's literally nothing you can do once you leave the Row. Like I said, my Rho Chi was amazing. I cried to her so many times, and she really did help me when my emotions were everywhere. She reassured me that it was all going to be okay and that I needed to be in a place that wanted me. Recruitment is such a crazy process, and having someone who 1. understands because she has been in your place, and 2. is trained to deal with all your emotions is so nice. Obviously, I called my mom and sister every day, but having my Rho Chi when I broke down looking at my schedule was a God send. That's what they are there for. 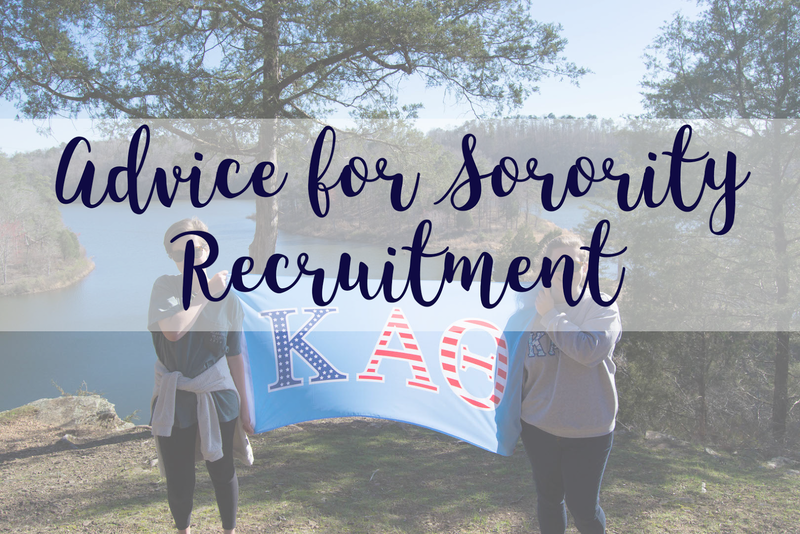 Rho Chis go through training to help you make the best decision. They've been through the process as a new member and as a member in the sorority, so they know what it's like on both sides. I know it can be hard to talk to someone about your emotions when you barely know her, but once you get over your fear, your Rho Chi can be one of your biggest supporters during recruitment. I wished I had talked to her even more because I think my experience would have been different if I had opened up to her about what I was feeling. It can be hard to keep all the houses straight by the end of the day, so my biggest tip is to take notes after you visit each house. Having these notes will save you when you are going to vote at night, especially if you are stuck between two houses. I would write down who I talked to, what we talked about, and my immediate reaction when I walked out of the house. I went through my notes after recruitment, and I saw that I always wrote down positive things about Theta, which obviously shows that I am in the right house. I think everyone says this, but it's 100% true. For me I thought I had figured out the system, but in reality I hadn't. The system is in place because it works. Trust me, I know. Theta wasn't always my dream house, but now it's absolutely the perfect place for me, and I couldn't be happier with my decision. I am not in the right house because of my own doing, believe me. I am in it because the system has a way of working out for the best. If it didn't work, they wouldn't use it.